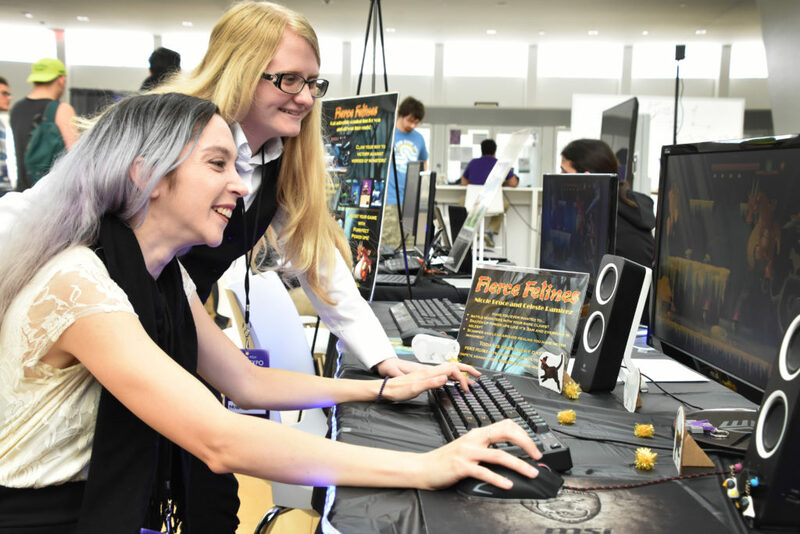 Florida Polytechnic University students Celeste Ramirez (left) and Nicole Bruce presented their game, Fierce Felines, during the University’s third annual Game EXPO Thursday, Nov. 29, at the university’s Innovation, Science, and Technology Building. Screens full of monsters, wizards, fighters, spells, weapons, and even cats were at the center of the Florida Polytechnic University Game EXPO on Thursday, Nov. 29. 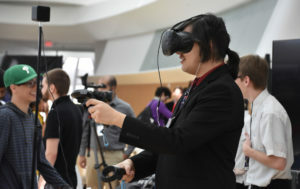 Around 50 students presented a total of 24 games to peers, faculty, and industry leaders, featuring a wide variety of characters, interfaces, challenges and player interactions. 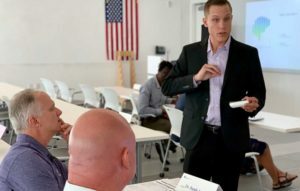 The event was held in the Saddle Creek Logistics Commons at the university’s Innovation, Science, and Technology Building. The game Stab n’ Grab was one of several based on virtual reality (VR). The player is submerged in a dungeon world facing trial through combat, getting better and stronger after every battle. 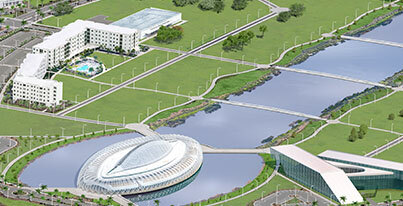 One of the main goals of the event was to serve as an outreach to gaming leaders, creating a bridge between graduation and jobs. Members of the game developer company Steamroller Studios, from Mount Dora, Florida, said they were pleased with the games they observed and provided positive feedback to the students. Lackey highlighted the importance of events like the Game EXPO to help prepare the students for real industry work.